This guidance provides a high-level framework through which commissioners can plan, develop and implement major service changes. The guidance sets out processes and principles for the planning and delivery of major service change. 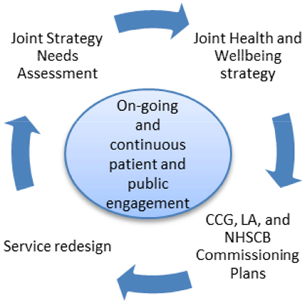 Commissioners that are considering major service changes are recommended to use this document and to discuss locally with partners – including providers of NHS services, local authorities and groups representing patients – how the guidance will shape proposals and planning arrangements. The guidance stresses that major service changes and reconfigurations must put patients and the public first, by leading to higher quality and more sustainable services. The focus of reconfiguration should be on proposals that lead to improved outcomes, reduced health inequalities and more efficient models of care.